The 2598-22 M12 FUEL 2-Tool Combo Kit is the Most Capable and Most Compact 12-Volt Hammer Drill Driver and Impact Driver Combo Kit on the market. Included is the M12 FUEL Hammer Drill Driver (2504-20), the Most Capable, Lightest Weight and Most Compact 12-Volt Hammer Drill Driver in the market. At only 6.6 and 2.8 lbs. of weight it is the best Hammer Drill Driver to use in compact spaces. It delivers the power to do a wide variety of applications at 1700 RPMs and 350 in./lbs. of torque. 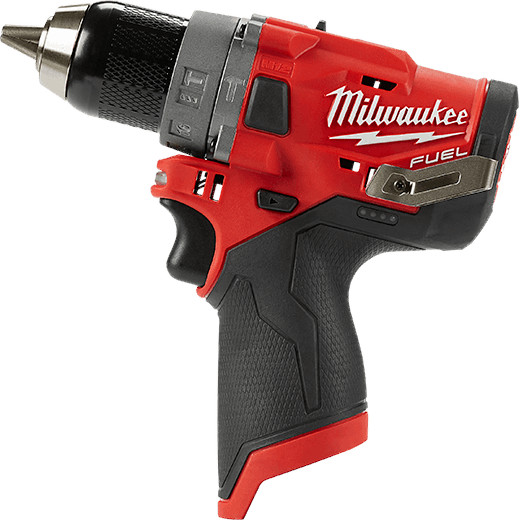 Also included, the M12 FUEL Hex Impact (2553-20), the Fastest Driving Speed, Most Compact with 4- Mode Drive Control Impact Driver in the market. At 3,300 RPM the impact drives screws over 20% faster than competitors. At 5.1 in. L it allows for unmatched access in tight spaces. The 4-Mode DRIVE CONTROL provides greater control over output speed and power for greater versatility by delivering 0-1,300 RPM in Mode 1, 0-2,400 RPM in Mode 2 and 0-3,300 RPM in Mode 3. Mode 4 is Self-Tapping Screw Mode which is designed to reduce walking when starting self-tapping screws as well as reduce overdriving, breaking and stripping out screws. The M12 FUEL™ 1/4 in. Hex Impact Driver once again raises the bar for 12V performance with best in class driving speed, power, and size. By focusing on productivity, this Impact Driver gets the job done faster by being over 20% faster in application speed vs. the competition. This tool outputs over 1,300 in. lbs. of torque that allows the user to get more work done by completing a wide range of fastening. Measuring only 5.1” in length allows for unmatched access in tight spaces. The POWERSTATE™ Brushless Motor delivers up to 0-3,300 RPM with constant power output to drive screws faster. REDLINK PLUS™ Intelligence is the most advanced electronic system on the market, preventing damage to the tool and battery caused by overloading or overheating. For use with M12™ REDLITHIUM™ Compact Batteries or Extended Capacity Batteries (sold separately), which deliver more work per charge and more work over the life of the pack than competitive batteries on the market. The 4-Mode DRIVE CONTROL provides greater control over output speed and power for greater versatility by delivering 0-1,300 RPM in Mode 1, 0-2,400 RPM in Mode 2 and 0-3,300 RPM in Mode 3. Mode 4 is Self-Tapping Screw Mode which is designed to reduce walking when starting self-tapping screws as well as reduce overdriving, breaking and stripping out screws. Our M12™ REDLITHIUM™ CP2.0 Compact Battery delivers up to 2X more runtime, 20% more power and 2X more recharges than standard lithium-ion batteries. The lithium-ion battery pack features superior pack construction, electronics, and performance giving you more work per charge and more work over pack life than any battery on the market. The rechargeable battery also offers you 2.0 amp-hours of runtime. Each battery pack is durably built for heavy-duty use, runs cooler, and performs in climates below 0°F/-18°C. Its compact, lightweight design allows you to work in tight work spaces and reduces fatigue. Built-in REDLINK™ Intelligence protects the battery from overloads, preventing you from damaging your cordless power tools in heavy-duty situations, while the discharge protection prevents cell damage. An integrated temperature management system and individual cell monitoring help to maximize your battery's life. Switch to our REDLITHIUM™ CP2.0 Compact Battery Pack to instantly upgrade the runtime and durability of your Milwaukee M12™ cordless tools. Delivers up to 2X more runtime, 20% more power and 2X more recharges than standard lithium-ion batteries. The M12™ REDLITHIUM™ XC 4.0 Extended Capacity Battery Pack features superior pack construction, electronics and performance to deliver more work per charge and more work over pack life than any battery on the market. It offers 4.0 amp-hours of runtime. 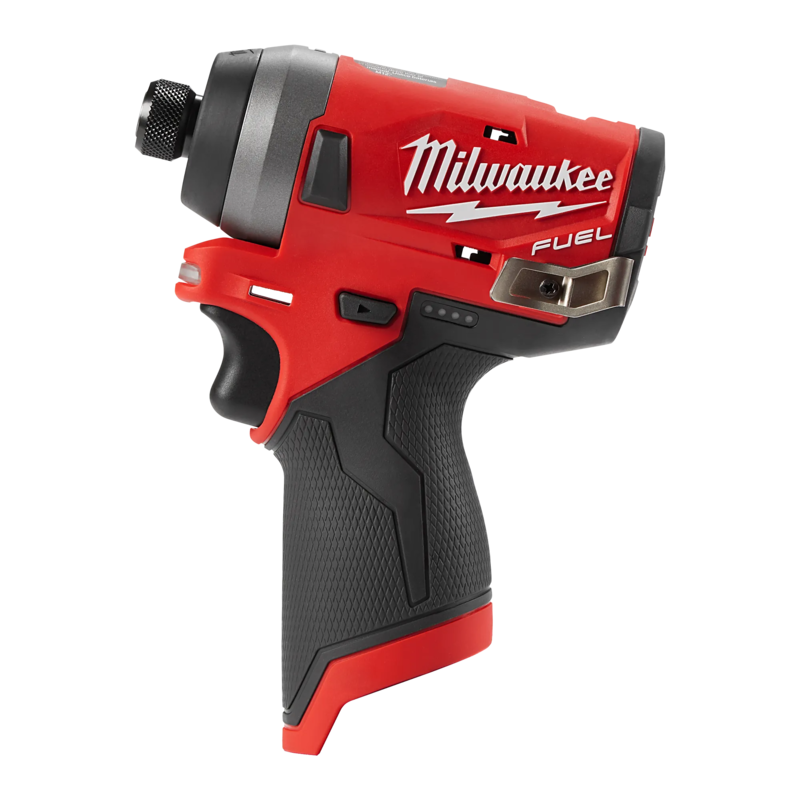 With Milwaukee durability built into each pack, this battery runs cooler and performs in climates below 0°F/-18°C.Managed by Milwaukee’s exclusive REDLINK™ Intelligence, the battery features overload protection to prevent you from damaging your cordless power tools in heavy-duty situations, while the discharge protection prevents cell damage. The temperature management system and individual cell monitoring help maximize battery life. Switch to the REDLITHIUM 4.0 XC Extended Battery Pack to instantly upgrade the runtime and durability of your Milwaukee M12 cordless tools. Quickly charges all M12™ batteries. Power up your M12™ RED LITHIUM™ and M12™ Lithium-Ion batteries in less than an hour with the M12™ Lithium-Ion Charger. It communicates directly with the battery pack to manage charges and features an easy-to-load design. The charger’s slim profile requires little bench-top room, while the pass-through plug conserves valuable outlet space. Monitor battery charges for all of your M12™ cordless tools with the onboard indicator light.